International trade rules have significant impacts on environmental law and policy, at the domestic, regional and global levels. At the World Trade Organization (WTO), dispute settlement tribunals are increasingly called to decide on environment- and health-related questions. Can governments treat products differently based on environmental considerations? Can they block the import of highly carcinogenic asbestos-containing products or genetically modified crops? Does the WTO allow governments to protect dolphins or endangered sea turtles through the use of import restrictions on certain products? How can civil society participate in WTO dispute settlement? This Guide, authored by five world leaders on international environmental and trade law at the Center for International Environmental Law (CIEL), is an accessible, comprehensive, one-of-a-kind compendium of environment and trade jurisprudence under the WTO. 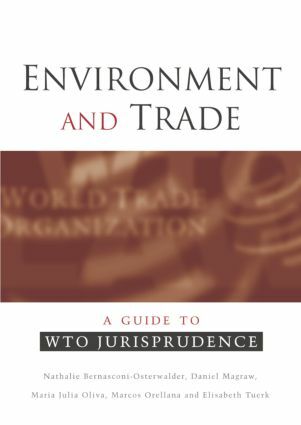 Providing an overview for both experts and non-experts of the major themes relevant to environment and trade, it also analyses how WTO tribunals have approached these themes in concrete disputes and provides selected excerpts of the most significant cases.